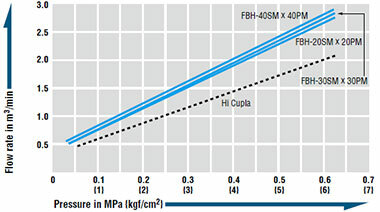 The flow rate is increased by up to 40% more than that of conventional Cuplas. 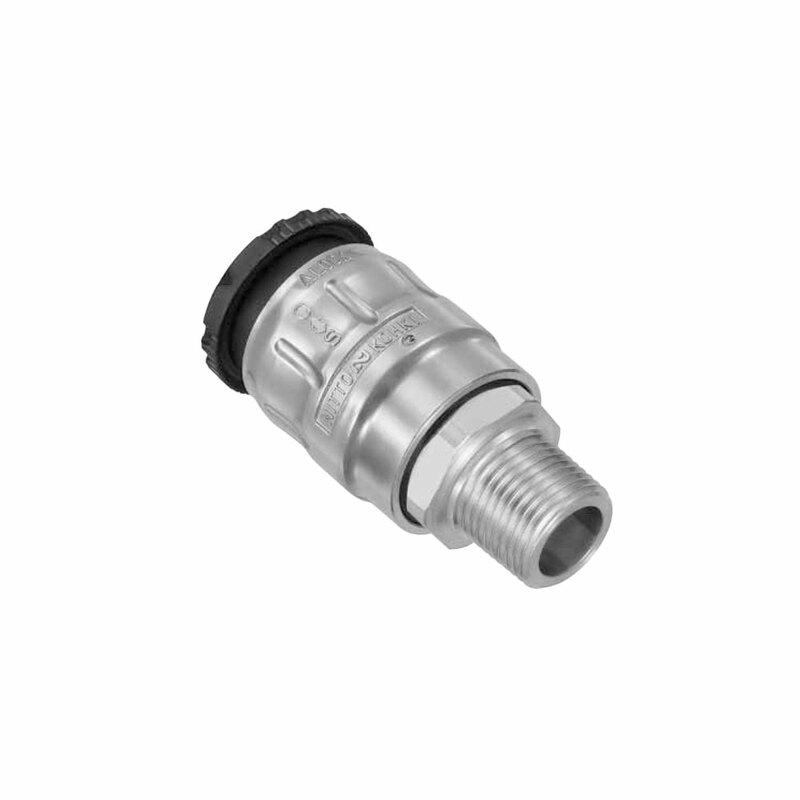 During connection and disconnection, the valve is closed, enabling connection/disconnection under zero line pressure. 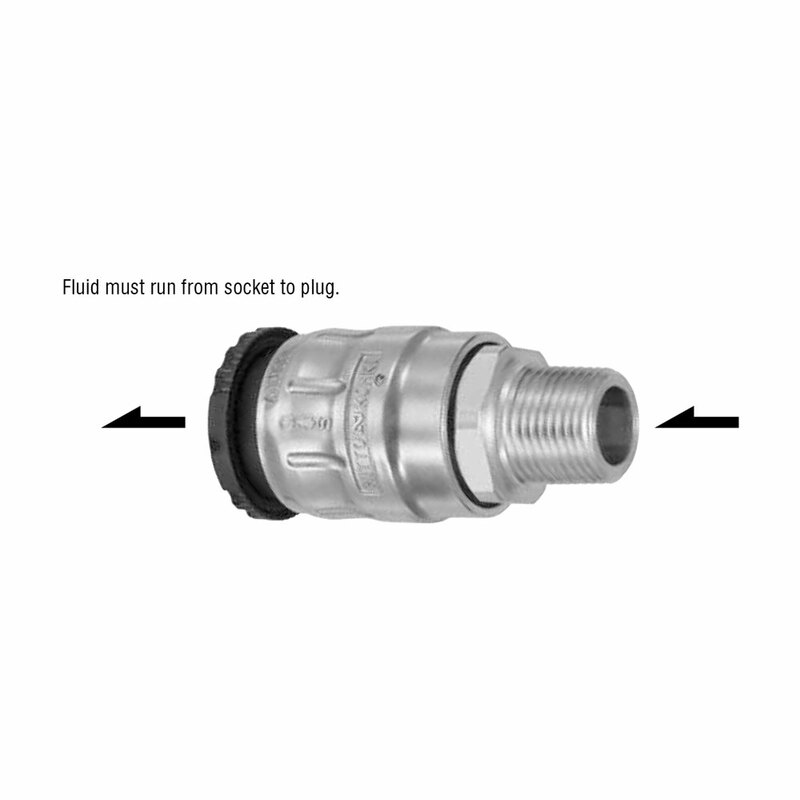 When the sleeve of socket is returned to its original position, the purge mechanism releases the residual air pressure in the plug, eliminating an unpleasant popping noise and a hose whip back motion on disconnection. 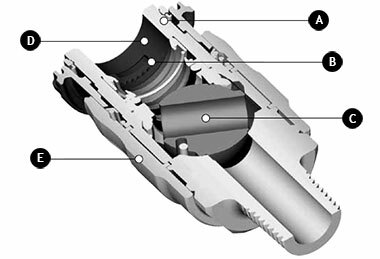 Built-in sleeve lock mechanism prevents accidental disconnection of Cuplas, assuring safe operation. 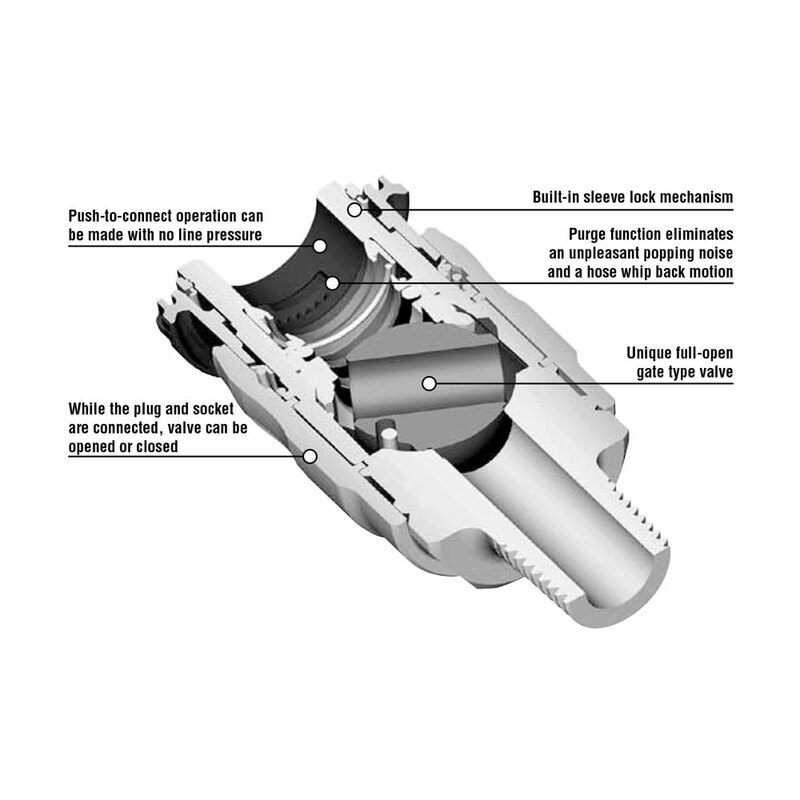 The weight is reduced by 30 to 45% compared with that of conventional Cuplas. Can be connected with plugs for Hi Cupla Models 10, 17, 20, 30, and 40. Cannot be interchangeable with some plugs for plastic Hi Cupla 250 (discontinued product).